Liberty Mutual is one of the top rated and most popular insurance companies in the United States today. With independent agents all over the country, the company is proud to offer a wide variety of insurance products to people from all walks of life. They sell home insurance, life insurance, business insurance and, of course, Liberty Mutual car insurance. Liberty Mutual has been in business since 1912 and is officially the 5th largest property and casualty insurer in the United States. Fortune 500 rates the company at number 86 and the organization constantly strives to help regular people live safer lives. The company's reach doesn't stop in the United States, though. Liberty Mutual has more than 900 offices in locations around the world. Despite its popularity, Liberty Mutual car insurance isn't their only product. The company focuses on both personal and commercial coverage for standard and specialty businesses. They have offices in Europe, Asia, Latin America, Canada, the Middle East, and in several other countries. While most companies do offer multi-policy discounts, they do not usually offer anything like the other cost saving solutions Liberty Mutual incorporates into their standard policy. Accident forgiveness, for example, ensures that if you've been accident free for a full five years before having an accident your rates will not increase. 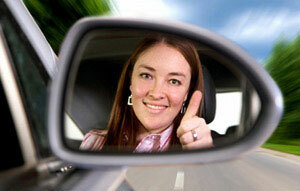 The average person with an accident on his driving record will see his rates increase up to $350 per year. New car replacement is another incredible benefit offered to Liberty Mutual car insurance policy owners. If your car is brand new, under one year old and is totaled in an accident, Liberty Mutual won't hold you to the Kelly Blue Book value of your vehicle. They'll give you enough money to purchase a completely new car. Most insurance policies give drivers a very limited amount of rental car time if they have an accident, usually covering only $30 per day for up to 15 or 30 days depending on the type of policy you purchase. Liberty Mutual will pay for a rental car for as long as you need it as long as you are using a Liberty Mutual approved repair service. Purchasing a Liberty Mutual car insurance policy does have a wide variety of benefits. Use our site to compare Liberty Mutual's car insurance quotes to those provided by several other carriers and you'll soon have an idea of whether or not Liberty Mutual is right for you. It's our goal to make sure you find the best coverage available – you deserve nothing less.